So now we’re back to the whole anti-vaccine thing thanks to Donald Trump’s comments during the republican debates. Despite overwhelming scientific studies that have proven that there is absolutely no link between vaccines and autism, we continue to have people like Mr. Trump who prey on the fears of parents. I thought I’d take this time to explain to you what I see from the children that come to me asking if it’s true. Most of the time, not always but a good 90% of the time, when a child asks me about vaccines and autism, they do so from a very personal place. Now granted, those other 10% of kids have a scientific curiosity and you can tell that they are genuinely just curious but for the rest, for all those other kids that I talk to, they’re worried and they’re scared. They feel like a mistake, an abomination and a victim. I’ve talked to a lot of anti-vaccination parents and I know it’s not their intention and I know they love their children as much as any other parent but to be perfectly honest, that has absolutely nothing to do with anything. Intentions or not, this is about how a child feels when they are told that they are a damaged product of a broken system that their parent didn’t want. Harsh? Maybe but this is the message that the child is receiving. You don’t understand the damage you are doing to your own child with this nonsense. You really don’t. Your child will never tell you this because they are scared to death that you hate them and what they are… a broken version of the kid that you actually wanted. You are damaging your own child even worse than what you think those vaccines are doing. Your children are reaching out to total strangers on the Internet in search for answers because they are convinced that they are not the child you wanted. They are convinced that they are the source of your anger and your rage and your disappointment. And you will disagree me and you will tell me that it’s not your child that I’m talking about but I’m telling you right now, and please listen to me… you clearly don’t see the impact. I am talking to these children every day and it’s breaking my heart. No one can convince them that they’re not a mistake and no one can make them believe that their parents love them when they grow up feeling like they are the foundation of your hate. And these children won’t let their parents know this. They don’t want to hurt their parents any more than what they think they’ve already done. Please. Please! My heart is breaking for these poor children. They can’t take this. No child should be feeling this way! You can’t do this to them. You just can’t. I beg of you. I’m not asking you to stop believing what you believe. I don’t know, maybe I am. All I’m asking is… please stop doing this to your own children. To all of these children. To every child everywhere that is scared to death that they’re a broken, disappointing autistic byproduct of being poisoned. Please don’t do this to them anymore. I am Stuart Duncan, owner of Autcraft, a world wide Minecraft server with a user base of 6000 children that have autism. I speak to many of these children almost daily about some of the most personal aspects of their lives. I will not be sharing names or direct quotes as I do not want any of those children to feel like I am singling them out or giving clues as to their identity. I’ve been debating with myself for some time whether or not I should write this. 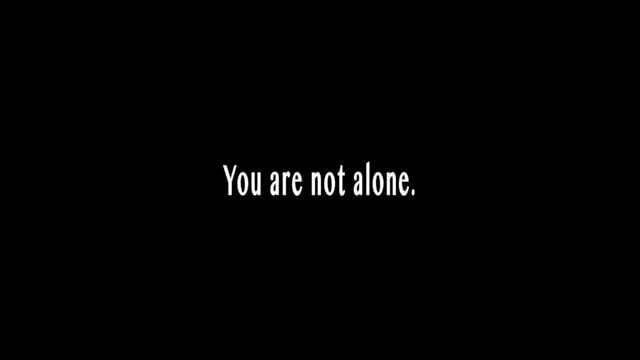 I’ll get to the reasons for that in a bit but first, for right now, I need to tell you this: you are not alone. I am a 39 year old with Autism Spectrum Disorder (formerly Aspergers) and I have two children, one with autism and one without. I have a good job, I take a nice walk every day and I help a lot of people around the world but you know what? Sometimes I still feel completely worthless. Sometimes I still feel totally alone. The truth is that we all feel this way sometimes. For those of us with autism or really, any other special needs, this feeling comes far more often. Sometimes we feel like this way more often than we feel good. I know I used to. I wasn’t always a grown up with a family and a job. I was a child with autism too and I felt so very alone then. I felt like I wasn’t nor would I ever be valuable to anyone. I felt like the world wouldn’t even notice if I was gone. Like every other day when that happens, I wanted to tell the world I was giving up. I was done. But like every other day, I thought to myself, no, I can’t do that. So I went to bed. Here’s the thing, I have talked to hundreds, if not thousands of children with autism who have felt this exact same way. They’ve told me the exact same things. For the hours and hours I’d talk with each and every one of them, the most reassuring thing for each and every one of them, the one common denominator between them all… was me. I was the one that helped them to see that they weren’t alone. Perhaps I couldn’t convince them that they weren’t worthless, just as no one can convince me when I feel that way, but I could show them that they weren’t alone. All I had to do was be there. Here I am, right now, to tell you that you are not alone. I started this big thing where I have this opportunity to help all these kids and the world praises me for it, often far too much. I’ve been in the news and on television and the radio and I am given this wonderful opportunity to help kids see that they’re not alone. So why do I continue to have these days where I feel totally worthless? Now I’m back to where I started, debating with myself over whether or not I should ever even write this, should I hit the publish button? Will I let down everyone that looks up to me? Will I disappoint all those kids who think that I’m some symbol of positivity for them? Will people look at me differently? Will people judge me as silly or foolish or even selfish for having done all this and still feeling so down? But then I thought back to all those kids I’ve helped. They didn’t feel alone anymore because they came to me and we talked. But what about all those kids that don’t come to me? They’re still out there, feeling worthless and feeling alone. What if they’re sitting there, staring at their off television, feeling like there’s no one they can talk to? Debating on whether or not to tell the world “I’m done” just as I do on those days. I’ve decided the message is more important than what anyone else might think. I’ve decided that… as much as this is about me, it’s not about me. I’ve decided that I have nothing to be ashamed of and I have nothing to hide. I should not be afraid to admit that it’s hard sometimes. Really really hard. I can’t explain to anyone why I feel that way sometimes. I just do. I can’t answer people’s questions nor can I rationalize it when it happens. I feel stupid and guilty and selfish and worthless and alone all at the same time and it takes absolutely everything out of me when it happens. I have autism, I have days where I feel worthless and alone and I am writing this to tell you that if you feel this way too, you are not alone. It doesn’t have to make sense. You don’t have to explain to anyone why you feel that way. No one should ever try to make you feel guilty for it. I am a grown autistic man with wonderful kids, a good job and I can say, completely without ego or bravado, that I have changed the world for the better, at least for some people and still, to this day, I still sometimes feel completely worthless and alone. You don’t owe anyone anything, not even an explanation for your feelings. It doesn’t have to make sense to them or even to you. You don’t have to feel guilty or ashamed about it. Please believe me. You are not worthless and you are absolutely not alone. And if you don’t believe me now, come back and read this again tomorrow.